console processes that may be running but never succeeded. Kent said that decisions involving TDD were about trade-offs: "In some ideal world we would have instant, infallible feedback about our programming decisions", "every key stroke that I make, if the code is ready to deploy, it would just instantly deploy." But that ideal is impossible at the moment so the question is how far do we back off from that. He went to enumerate several constraints in the trade-off. Lifespan: how long is this software going to be around, which is a probability as well as time. Those four are the constraints he thinks we need to compare. "My personal goal is just to understand the set of trade-offs by articulating them to people who are prepared to tear my ideas apart in a constructive way"
Is my code-base healthy? This so I can continue to build things quickly. David introduced the topic that TDD's success had led to a neglect of QA. The other issue is that to understand trade-offs you have to understand the costs, all the talk of TDD has been on the benefits. This neglect of costs is why people cannot comprehend that there is such a thing as test-induced damage. The trade-off continuum is true of other things. Consider the cost of reliability: going from 99% to 99.999% is exponentially more expensive than getting to 99%. We must also consider criticality. High reliability is important for space shuttles and pacemakers, but wrong for an exploratory web site. The rule of not writing a line of production code without a test doesn't fit in with trade-offs around criticality. David agreed that it was good to mindfully trade-off QA for initial speed, but some have taken programmer testing too far and don't see the value of exploratory testing. Your tests may be green but when it's in production users do things you don't expect. David says that worst of all is when developers are not part of of customer service. Many programmers don't want to be on-call because it's drudgery, but it's also a feedback loop. Code with green tests can be a plateau that's below where you want to be. "The on-call is the feedback loop that teaches you what tests you didn't write." As soon as you think you don't make mistakes any more, that's a mistake, and you stop growing. He'd rather pay the price of catching that early with a phone call at 2am. 1. Copy your favicon.ico to app/assets/images folder. 2. In the layouts/application.html.erb add: <%= favicon_link_tag %> within the head tags. I was looking for a tool that reloads static html pages automatically on file save. CodeKit does not work on Mac 10.7.5 and it costs $40. Here is a simple alternative. 2. 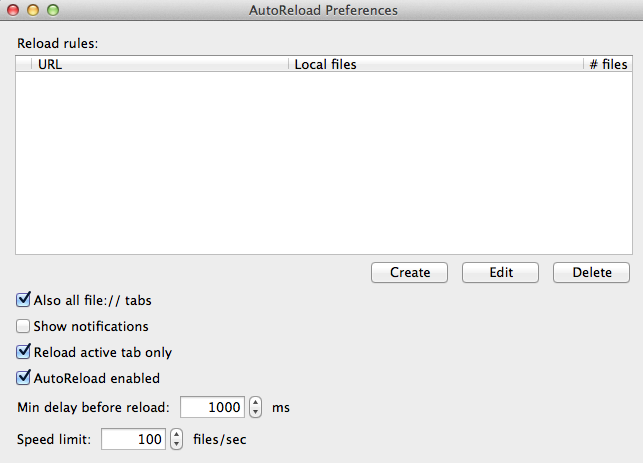 Go to Tools -> AutoReload Preferences and turn off notifications. It's a bit distracting. 3. Open the local html file in a text editor. Now, whenever you save the file, the page will get refreshed automatically. Much faster feedback. I love it. How to build codeschool.com clone and make $35 million in 4 years! 1. You need Ubuntu 14.04 LTS. I installed it on my $10/month Linode instance. Digital Ocean offers $5/month plan which is good enough. Can TDD lead to design damage? Unnecessary indirection and complexity required to make it easier to test in isolation. The design David showed wasn't due to TDD, the real issue is that these indirections are all good tricks under some circumstances and we need to understand whether they are worth the cost or not. Kent said that developers' make one design decision at a time. TDD puts an evolutionary pressure on a design, people have different preferences for the grain-size of how much is covered by their tests. David replied that there's a direct correlation between the size of code and how easy it is to change it. David said the reason people wanted isolation was due to TDD. You can't just swap out an in-memory store for a call to a web service because they have different operational characteristics. These swap-ability pipe-dreams aren't the real goal - the real goal is isolated testing. Kent agreed that you can't treat in-memory and web services the same as the failure cases are different. The boundaries between elements will leak to some degree "the question is how much are we willing to spend to get how much decoupling between elements". Kent saw the difference between 10 lines of code and 60 as a cohesion issue. David agreed but argued that cohesion and coupling are often opposed. Higher coupling is usually worth the price to get better cohesion. Kent observed that there are other ways to eliminate external dependencies, you can also use intermediate results, this is what happens with compilers. Something that's hard to test is an indication that you need a design insight, it's often useful to get up and take a walk to find those insights that lead to better designs that are also more testable. Kent clarified he wasn't talking about TDD, but about software design in general, it's not about TDD it's about how to get feedback. Thinking about software design is the thing, because it pays off so big when you get a good design insight. Getting these insights isn't about your workflow, it's about things like knowing when to work and when to rest, gathering influences from other places, collaborating with other people.